We are based in SE Michigan and serve NW Ohio as well. 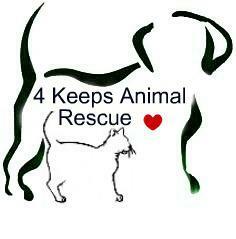 whose mission it is to reduce euthanasia of companion animals. or animals in unsafe living conditions. all animals are altered (if old enough), given age-appropriate vaccines, dewormed, heartworm tested and given flea/tick control. interacting with everyone and everything. where they may need additional training. Our foster homes are a temporary step toward a better life. the basic skills needed to get along with others. Thank you for taking the time to read our story and visit our website. If you know of anyone who would like to bring home a new furry family member, we hope that you will spread the word about our group and encourage people to rescue an animal in need. Thank you! Ryan is an independent artist from Sylvania, Ohio, a proud member of the United States Air Force and a student at The University of Toledo studying Special Education. It was brought to our attention that our original name, 4 Paws Animal Rescue, was very similar to the name of another MI/OH area animal rescue that has been operating for almost 8 years in good standing. While we enjoy a close working relationship with other rescue groups, we are not related to nor directly connected with any other rescue--and we feel the similarity in names may have inadvertently implied this. As a result, we have legally changed the name of our rescue. Our mission and our values have NOT changed. The webmaster will not be liable or responsible for any problems arising from the information or usage of information displayed and or contained herewith. We reserve the right to list and delete any information, listing or pictures at our own discretions and without repercussions upon permission and/or submission. By using this web site, as a reader, you acknowledge that you expressly and voluntarily release the webmaster and rescue group listed from any and all damages that may be incurred by the use of the information contained and linked within these pages. If you see an image or text that belongs to you and you would like it removed, please send us your copyright information or request for removal and we will remove it immediately. Thanks! !